Certain torts arise with particular frequency in wrongful termination litigation. This article will briefly review some of the elements of those torts which tend to be of particular importance in this area of law. Outrageous conduct, done intentionally or with reckless disregard of the probability of causing emotional distress, resulting in the suffering of extreme emotional distress, actually or proximately caused by the outrageous conduct. 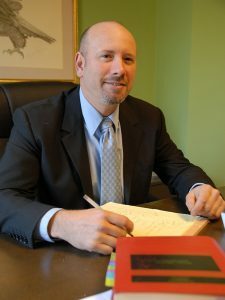 Plaintiff’s evidence showed that defendant’s representative summoned plaintiff to a lengthy meeting without notice, continued the meeting without a break for rest or food, repeatedly badgered him to amend and sign a statement, and that plaintiff did not feel free to leave the meeting. Immediately after the meeting, defendant’s representative directed plaintiff to clean out his desk, a summary dismissal after eighteen years of service. Plaintiffs concede that the evidence introduced describes defendant as being shaky, upset, afraid and, at times, crying as a result of their “self help” tactics. 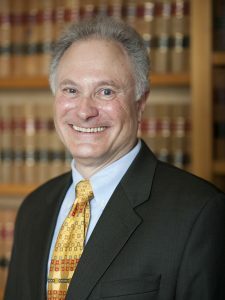 It is for the court to determine whether on the evidence severe emotional distress can be found; it is for the jury to determine whether, on the evidence, it has in fact existed. Restatement (Second) of Torts §46, Comment j. The type of damage suffered by the plaintiff in Crump v. P & C Food Markets, Inc., and particularly the type of damage suffered by the plaintiff in Birkenhead v. Coombs, is probably not sufficient to make out a claim under the Restatement formulation, as expressed in the comments to the Restatement. After all, the compensatory award in Birkenhead was only $500.00; accordingly, the damage could not have been too extreme or great! 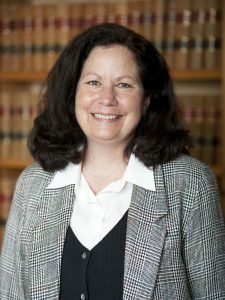 The author contends, however, that the limitations on extreme emotional distress and extremely outrageous action envisioned by the Restatement are no longer appropriate, and that the Vermont Supreme Court should not backtrack, but should continue to allow damages to be awarded without proof of extraordinary stress or extraordinarily outrageous action. [I]t is clear that in Vermont, any justification for an intentional interference with a person’s contractual relation with another must be set forth and proved by the defendant as an affirmative defense. Payne v. Rozendaal, 147 Vt. 488, 496, 520 A.2d 586 (1986). In the appropriate circumstances we recognize that libel per se may be found either solely from the writing or from the writing together with extrinsic evidence. Similarly the question of whether an ambiguous writing is defamatory or not is a jury question under either set of circumstances. For the purposes of clarity in this discussion, we will use the following full-phrase definitions for each type: “knowledge of the statement’s falsity or with reckless disregard of its truth,” id, or “conduct manifesting personal ill will, reckless or wanton disregard of plaintiff’s rights, or carried out under circumstances evidencing insult or oppression,” id. at 550, 470 A.2d at 1170. The first type of malice may be inferred. 154 Vt. at 293. Accordingly, in order to prevail, the plaintiff must prove malice on the part of the publisher of the defamation, within the definitions set forth in the Crump case. Second, the issue of defamation arises frequently when the reasons for the termination are communicated to a future potential employer. The “leading edge” area of defamation law in the employment context is whether the requirement that defamation be “published” can be dispensed with in the employment context, since an employee may be compelled to publish the reason himself to a new employer, because new employers usually want to know why the previous employment terminated. See generally, Blythe, Workplace Defamation: Public Policy, Compelled Self-Publication, and the Vermont Constitution, 16 Vt.L.Rev. 341 (1991). One who intentionally causes injury to another is subject to a liability to the other for that injury, if his conduct is generally culpable and not justifiable under the circumstances. This liability may be imposed although the actor’s conduct does not come within a traditional category of tort liability. is intended to serve as a guide for determining when liability should be imposed for harm that was intentionally inflicted, even though the conduct does not come within the requirements of one of the well established and named intentional torts. Every person within this state ought to find a certain remedy, by having resource of the laws, for all injuries or wrongs which he may receive in his person, property, or character . . . The concept is consistent with the mandate of our organic law that there should be a remedy for every injury. Mo. Const. Art. I, §14. 611 S.W.2d at 272. 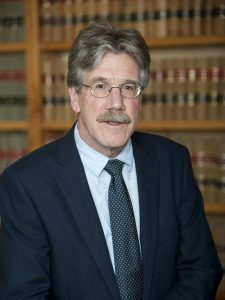 Similar constitutional arguments have been raised before the Vermont Supreme Court on a number of occasions, but the Court has not found it necessary to deal with the issue directly. For example, in Wolfe v. Yudichak, 153 Vt. 235, 571 A.2d 592 (1989), the Court found that the Vermont Worker’s Compensation Act did not bar a claim by a member of the Norwich University fire brigade against Norwich University. Article 4 of the Vermont Constitution was raised, but the issue did not need to be reached by the Court. Id. at 238. The due process aspects of Article 4 have been relied on. 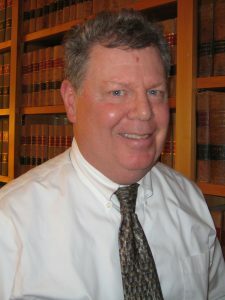 Vincent v. Vermont State Retirement Bd., 148 Vt. 531, 534 n.2, 536 A.2d 925 (1987). A full discussion of Article Fourth of the Vermont Constitution, and its application to Vermont law of wrongful employment termination is set forth in Blythe, Workplace Defamation: Public Policy, Compelled Self-Publication, and the Vermont Constitution, 16 Vt.L.Rev. 341 (1991). ————— 1The Restatement also defines a separate, although somewhat related, tort for intentional infliction of emotional distress in which illness or bodily harm results. Restatement of Torts (Second) §312. The parameters of this tort should also be explored, in a case in which illness or bodily injury results.